This thought-provoking book chronicles the evolution of the airline industry and explains what lies ahead for airlines across the globe. Taking the US airline industry as an in-depth case study, the authors present compelling evidence on how the paradigm shift that is taking place in the airline industry is linked to the big-bang approach to deregulation. There are lessons to be learned from the US, as Europe and Asia undergo airline deregulation from a public policy as well as a corporate perspective. This book also addresses the crucial question of what will happen to the airlines that are in turmoil. In addition to the comprehensive analysis of the airline industry's evolution, the authors draw from extant theory as well as from their own research to predict and explain which airlines are likely to fly high and which are likely to face `turbulence` in the domestic and international markets. The downfall of legacy carriers and rise of discount carriers is analyzed in detail. Intended for a broader audience tha airline and management professionals this book would be of interest to managers and business executives of other industries, entrepreneurs, policy-makers, academics, business students and airline travellers in general. 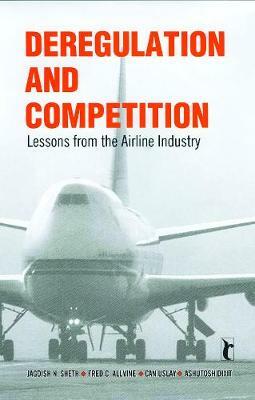 Deregulation and Competition chronicles the evolution of the airline industry and explains what lies ahead. The authors give evidence of how the paradigm shift that is taking place in the industry is linked to the big-bang approach to deregulation.